Millions in America regularly commit patient noncompliance—forgetting to take their medication or otherwise incorrectly taking their drugs. Reportedly, over half of people with chronic illnesses requiring regularly administered medication, like asthma and heart disease, are noncompliant. This is costing the country at least $177 billion in medical expenses, not to mention preventable hospitalizations and premature death. Now, this could all be solved by promising new implant technology. 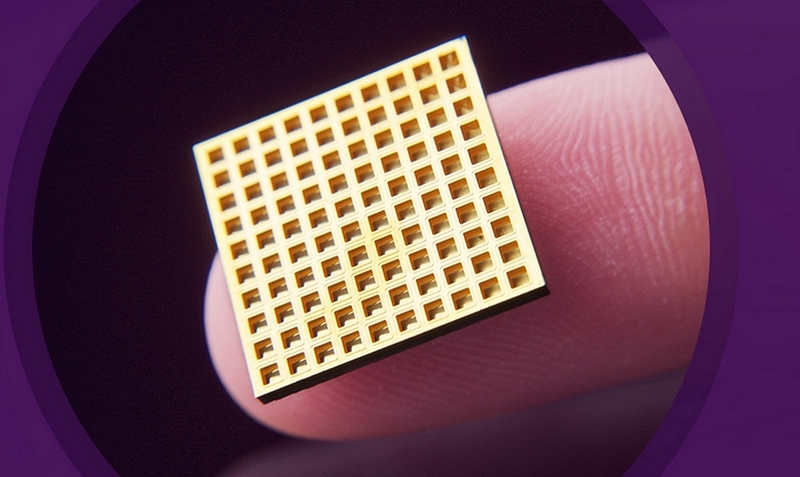 Microchips Biotech, founded by researchers Robert Langer and Michael J. Cima, has developed an implantable microchip that both stores and administers medication. It has hundreds of tiny, capped units that contain doses of drugs. The storage units were designed with innovative hermetic (airtight) sealing. The developers did this by pioneering a cold-welding technique that uses gold alloy in tongue and groove patterns. When electronically activated by wireless signal, the device opens units to release a precisely measured amount of medication. After success with osteoporosis trials in 2011 and again in 2012 trials with delivering bone-strengthening medication, the biotech company has just joined with Teva Pharmaceuticals to bring the microchips to market. The device has enough reservoir space to hold 16 years of typical doses and can remain implanted and maintain regular dosages for that long. Also, the implantation procedure is simple enough to be done in a doctor’s office. The devices, pending approval of the final design, could be used to stop unnecessary hospitalizations and the 125,000 deaths every year from incorrect drug administration. With the new collaboration with the world’s largest provider of generic drugs to treat chronic conditions (diabetes, cancer, multiple sclerosis, and osteoporosis) and the projected microchip birth control release in 2018, backed by the Bill and Melinda Gates Foundation, high-tech implanted medications are slated to revolutionize health care in a matter of years.